Please help; FAIR FUNDING FOR SCHOOLS! 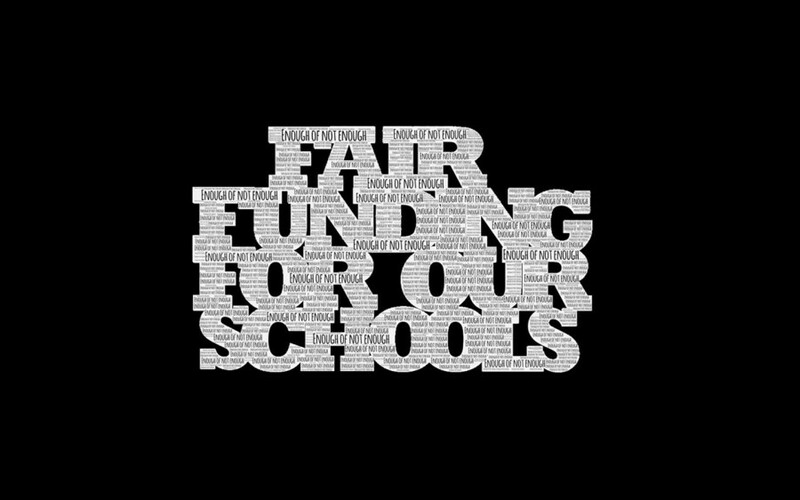 HomePlease help; FAIR FUNDING FOR SCHOOLS! Your child will bring home a letter today informing you of the potential impact of what is being described as a School Funding crisis. 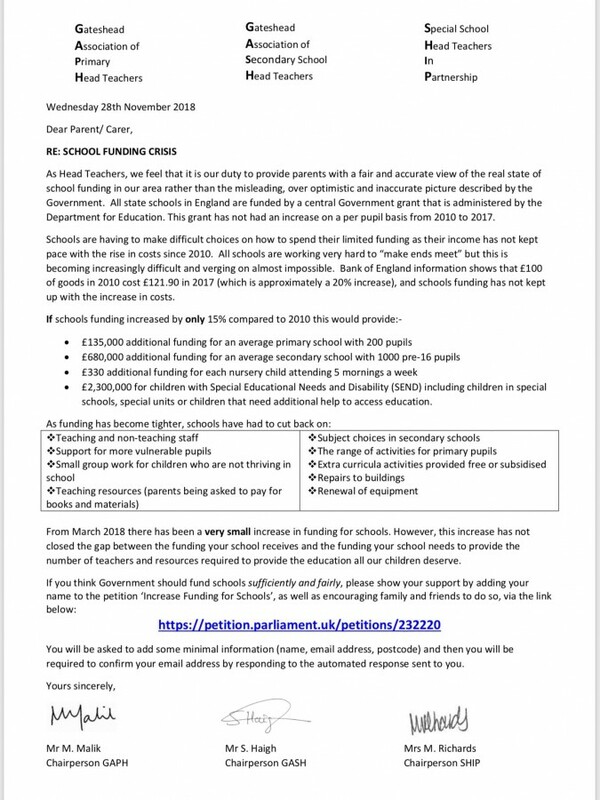 This letter is being sent out today from ALL Gateshead schools and I urge you to contact your local MP and/or sign the petition online to express your concerns and to help us secure fair funding for your children. Please feel free to share with friends and family too. The letter is also attached. FIND US ON FACEBOOK TO SHARE THE POST!